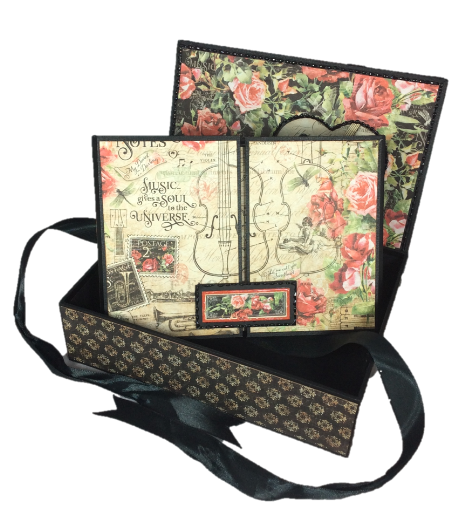 If you adore roses and romance as much as Robert Burns, you will fall in love with the new Flip Flap Album and Box Kit using Graphic 45's Love Notes paper collection. This album in a box is perfect for treasuring those precious memories and photos. There are lovely photo mats, pull-outs and ribbon-tied flaps. Each time you open a page, there's somewhere for all your keepsakes. The papers used are luxuriously designed with rich red roses, romantic words and musical instruments like violins. 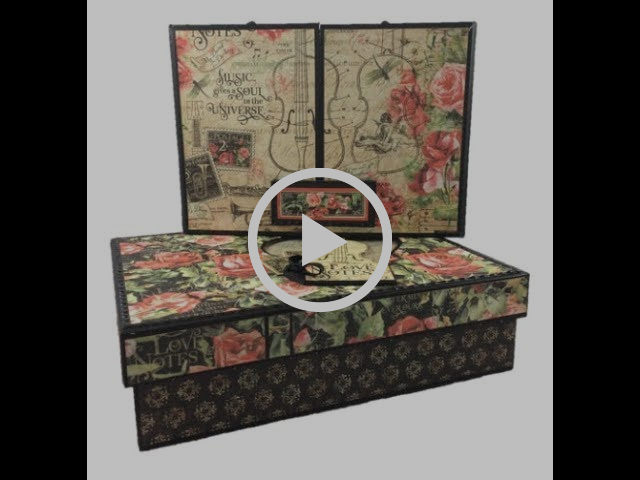 We hope you love making this album and box - it comes with full video instructions, Love Notes paper collection and all the materials you need including the classic, black ribbon. Don't miss out on this limited stock kit!